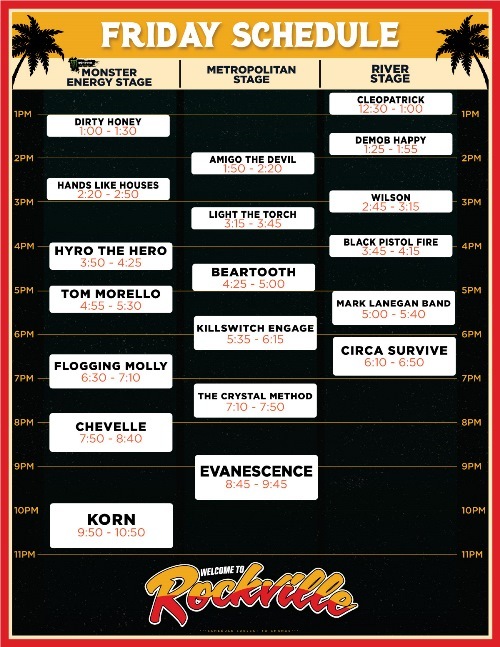 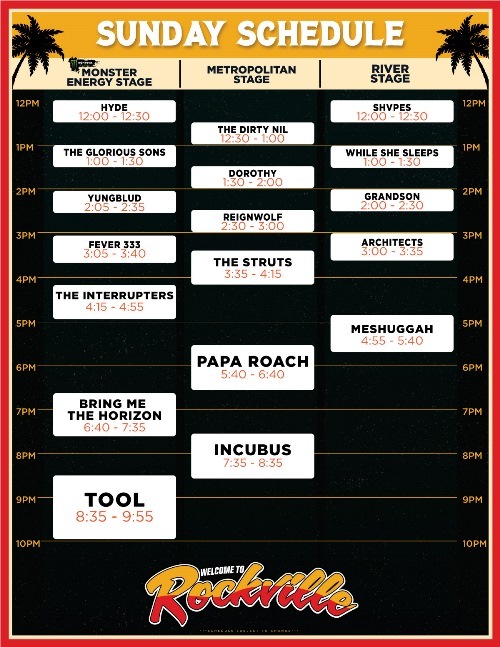 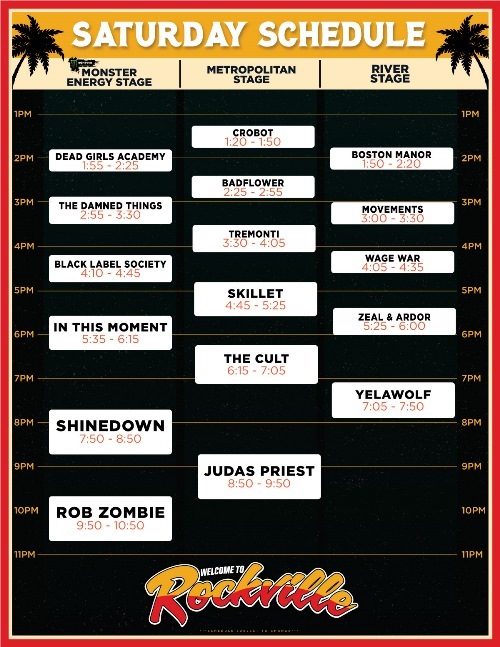 Welcome To Rockville has officially revealed the daily schedules for this year’s installment of the annual festival. 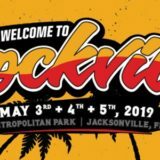 The event is set to take place from Friday, May 3rd to Sunday, May 5th at Metropolitan Park in Jacksonville, FL. 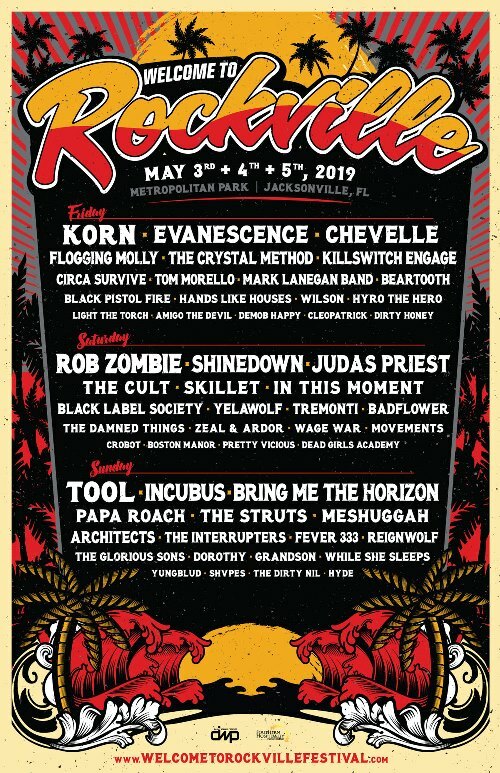 For additional information and tickets visit WelcomeToRockville.com.